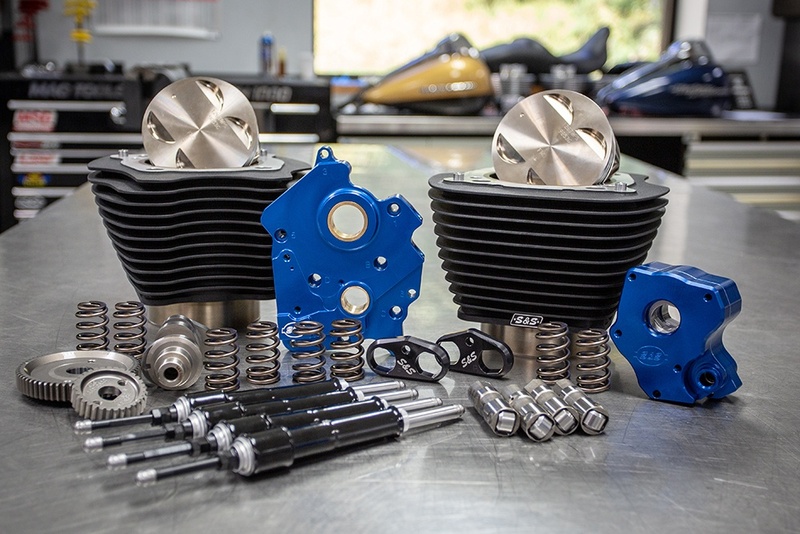 The S&S Winter Power Package is the ideal combination of performance and savings, designed to transform the M8 or HD® big twin without breaking the bank. 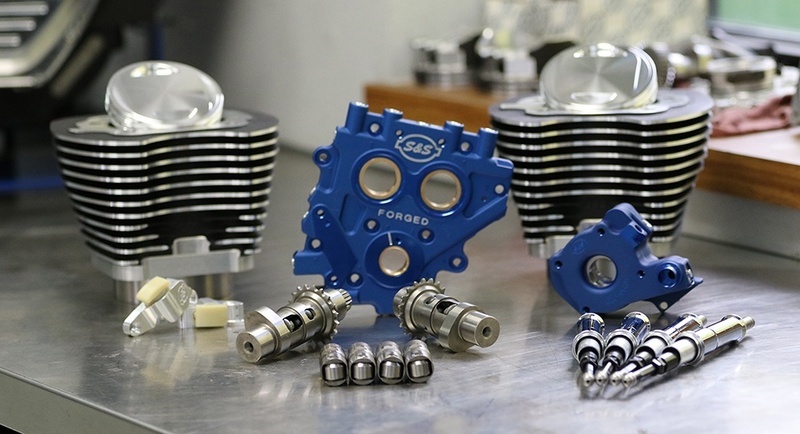 For the latest generation machines (2017-19 M8 models), S&S is packaging our brand new 124” bolt in big bore kit with a 550 cam, cam plate and high flow oil pump as well as valve springs, lifters and pushrods, the big twin kits get a similar combination of performance parts with a 585 cam and a bump to 100 for the early and 110 cubic inches for the late TC models. All kits are available with gear or chain drive cams and are designed to make big, reliable power with equally big savings. Winter only pricing starting at $2499, saves over $400! Good from October 1st through January 31st, 2019.